Condominium associations, also known as homeowner's associations or HOAs, take a hit when units go into foreclosure. Association members remain responsible for the condo fees despite financial distress or delinquent status of a mortgage. Associations, as well as lenders, may foreclose on the condo to recoup losses. Condo fees and liens survive foreclosure and the homeowner or the buyer of a foreclosed condo may be held responsible for paying arrears and penalties. Foreclosures affect condo association fees and reserves. Member fees pay for a project's maintenance and services. A fiscally sound project has sufficient reserves to pay for property repairs and future improvements, such as roof replacement, without special assessments or fee hikes, according to CondoLivingToday.com. When members stop making payments, associations may resort to increasing dues for all members to shore up reserves. Additionally, projects in which more than 15 percent of owners are 30 days or more past due on condo fees, are ineligible for some buyer financing. As such, a high number of foreclosures can inhibits sales and hurt prices within a project. An association can place a lien on a delinquent condo owner's unit, making it impossible for him to sell, refinance or otherwise transfer the property with a clear title. A lien also allows the HOA to foreclose on the unit to recover its losses, which include past due condo fees, late fees and attorney's fees incurred in the lien and foreclosure processes. In about 20 states, known as "super lien" states, foreclosure by a mortgage lender does not extinguish an HOA lien; the lender may have to pay off the lien, first. In other states, foreclosure generally wipes out a HOA lien. 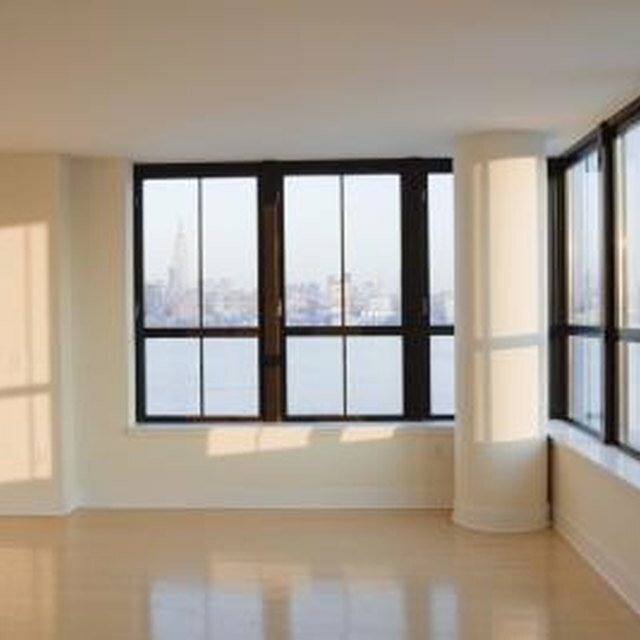 Condo owners may opt to sell their unit to prevent foreclosure in what is known as a short sale or preforeclosure sale. In a short sale, the sale proceeds fall short of paying off the mortgage and any other liens on the property. With the mortgage lender's permission, a short sale can let the condo owner off the hook for the mortgage, but not condo fees. The condo owner, his lender or the buyer must agree to pay unpaid condo dues as a condition of the preforeclosure sale. Do HOA Fees Have to Be Paid When Condo Is Being Sold? Some states allow redemption periods after a sheriff's sale, during which the condo owner can redeem his property by paying off the money owed. The length of a redemption period varies by state and may range from 30 days to two years, according to Nolo. When a lender forecloses, it must cover condo fees during the statutory redemption period. To redeem his property, the foreclosed condo owner must pay off the outstanding mortgage balance and all costs incurred by the lender in the foreclosure process, according to the Department of Housing and Urban Development. Associations commonly act quickly when owners get behind on dues. HOAs can take legal action, such as employ a collection agency or hire an attorney to initiate foreclosure proceedings, as soon as condo dues go 60 days past due, according to Lawyers.com. When condo owners stop making mortgage payments and are headed toward foreclosure, the owner may continue paying condo fees to avoid further problems with the association. Condo Living Today: How Much Money Should Condo Save? Condo Owner: Unpaid Dues: In A Forclosure, Who Pays?